I prefer freeware rather than commercial software. However, since recently I needs to involve some 3D modelling, I am wondering which 3D modelling tools is better. I have tried both Blender and Autodesk 3ds Max. There are other 3D modelling software. You can find the comparison of 3D modelling software from CG Society Wiki and TDT3D [from Wikipedia]. Blender can be said is the best of the other free 3D modelling software. However, the user interface for 3D modelling is quite different from other commercial software, such as 3ds Max, Maya, and MilkShape3D. For the usability perspective, Blender is difficult to use. If compare to the 3ds Max, 3ds Max is far more better than Blender. If Blender follows the interface as other software, I think it would be better during modelling. 3ds Max is a commercial software. And to install it, require a lot of disk space. Since there are a lot of powerful features, especially “Biped” to develop human animation. For Blender, since it is smaller, it does not provide much powerful features. Because of this, 3ds Max can be said easier to build human animation. Moreover, though both software can export the 3D models into VRML97 (or VRML2.0), 3ds Max can export with animation, Blender cannot. However, yesterday I found that there is a script to export the model to VRML with animation, that is BS Exporter for Blender. So, it is a good news. Why export to VRML? Because VRML is text file, it is human readable. Since VRML is human readable, we can use it in OpenGL programming or Direct3D programming. However, 3ds Max can import the VRML with animation also, but Blender cannot. This makes 3ds Max better than Blender again. The conclusion is, 3ds Max is far more better than Blender. However, 3ds Max is also far more expensive. If you cannot support, then Blender will be the choice. But you need to spend more time on learning Blender. I think, since Blender is open source, it might evolve into greater 3D modelling software in the future. Or, may be there will be another better open source 3D modelling software which is comparable to 3ds Max. 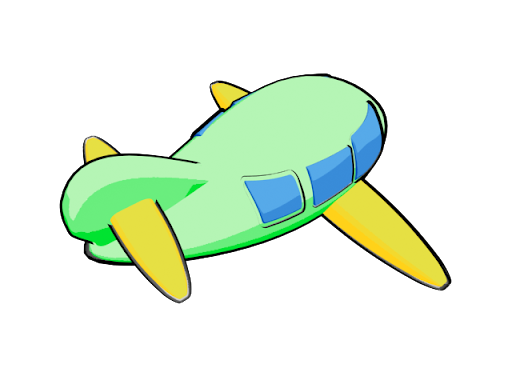 My friend creates a cel-shading 3D aeroplane, by following the a tutorial from internet.